Tampa Electric and Duke Energy among those asking for refunds. 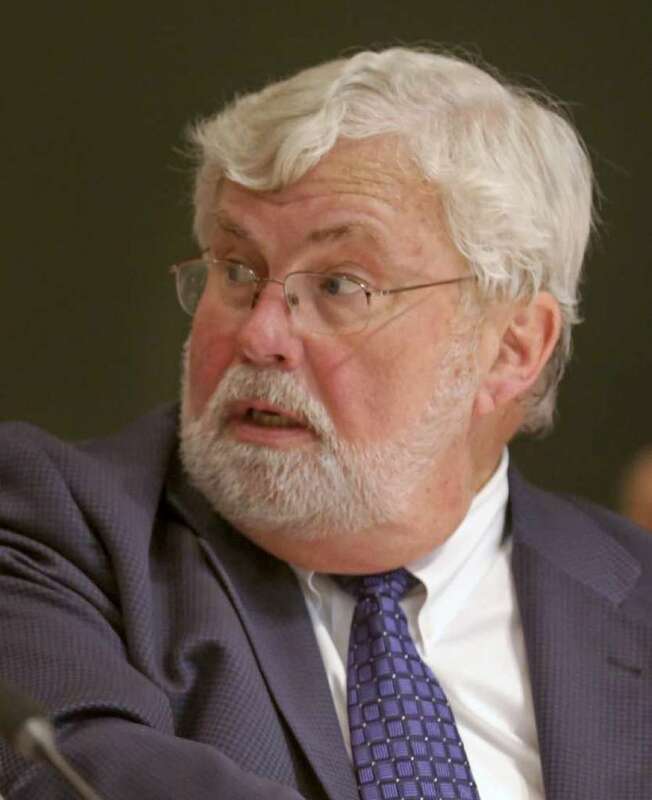 As Sen. Jack Latvala faces a possible public corruption investigation, it's unclear what the prodigious fundraiser will do with the nearly $5 million he controls in various campaign accounts. Already, major donors such as Tampa Electric and Duke Energy are asking for refunds. While the Clearwater Republican and former Senate budget chairman's long-shot bid for governor collapsed, Latvala's resignation letter did not address whether he was ending his campaign. No decision has yet been made. "If I drop out of the governor's race, the donors who gave to the campaign will get a prorated portion of the money back," Latvala said Thursday about the $778,000 in his personal gubernatorial campaign account. But could staying in the race allow Latvala to use any of the money for a legal defense if prosecutors charge him with corruption related crimes? "The money has to be used for election purposes," said Mark Herron, a Tallahassee elections lawyer and veteran legislative observer. "It makes no difference what account it is in. It makes no difference if he is still a candidate. The law is clear." State Division of Elections spokeswoman Sarah Revell said staying in the race provides no advantage for spending the money. "If a candidate does not withdraw from a race, then he (or) she is still a candidate and all applicable campaign finance laws would apply," Revell wrote in a statement. In 2013, Latvala formed the Florida Leadership Committee, which under the state's loosely-regulated campaign finance system allows individual lawmakers to solicit unlimited donations from the many special interests seeking favors from the Legislature. It now has about $4 million. Two of the committee's biggest donors want their cash back. "The company plans to request that our contributions be donated to charity or returned to us and we will donate the funds to charity," Tampa Electric spokeswoman Cherie Jacobs wrote in a statement about the utility's contribution of $55,000. Duke Energy gave about $40,000, including $25,000 in July. "Duke Energy plans to request the company's contributions either be donated to charity or returned, so the company can donate the funds to charity," spokeswoman Peveeta Persaud wrote in a statement. "All political contributions made by Duke Energy come from shareholders, not customers." Campaign records show Latvala has a history of making charitable donations. Since July 2015, he made more than 30 donations –– topping more than $50,000 –– to charities across the region. While Latvala is hardly a household name statewide, he was among the state's most powerful politicians before resigning Wednesday. A day earlier, retired Judge Ronald Swanson issued a report to the Florida Senate asserting that Latvala may have traded legislative support for sexual intimacy with an unnamed lobbyist. The judge referenced a text message possibly backing up the lobbyist's account. Latvala served in the Florida Senate from 1994 to 2002. He returned again in 2010. His resignation is effective at midnight Jan. 5. Besides his individual gubernatorial campaign account and his Florida Leadership Committee, Latvala controls two more political committees: Twenty-First Century Florida Committee and Sawgrass PAC. Both have about $10,000, records show. Latvala said he has no intention of closing the Florida Leadership Committee and will operate it within its stated purpose: To promote the interests of its members via campaigns and political outreach. "This is going to continue regardless," he said, adding he'll decide what to do with it after Jan. 1. In late November, as Latvala fended off allegations of sexual harassment, the committee donated $1,000 to Pinellas County Republican chairman Nick DiCeglie, who is seeking state House District 66. On Thursday, DiCeglie said he plans to donate the $1,000 to charity. In recent years, the committee donated $4,000 to state Rep. Kathleen Peters, R-South Pasadena. The Latvala confidant, who is seeking a seat on the Pinellas County Commission in 2018, didn't respond to multiple questions about her plans for that money. Local organizations and companies around the Tampa Bay area have donated hundreds of thousands of dollars to the Florida Leadership Committee in recent years. The Tampa Bay Rays gave $30,000, including $10,000 in September. The team did not respond to a request for comment. Another big donor –– Clewiston-based United States Sugar Co. –– didn't respond to questions about whether it would ask Latvala to return $95,000. In the past two years, Latvala's committee has donated about $190,000 to the Republican Party of Florida. This year, Florida Leadership Committee has donated thousands to Republican parties in Pinellas, Flagler, Okaloosa, Sarasota and Walton counties. Soon after Latvala announced his resignation, Sen. Denise Grimsley, R-Sebring, announced she was donating $72,000 she received from Latvala's political committee to the Florida Coalition Against Domestic Violence. "FCADV is a very worthy organization that I have supported for years," Grimsley said in a statement Thursday. Meanwhile, the only scenario where Latvala could use campaign money for a legal defense is to fight an election complaint, Herron said. But nothing prevents Latvala or any of his supporters from creating a legal defense fund, but money from Latvala's political committees cannot move to the defense fund, Herron said. "Somebody can make that argument, but it doesn't hold water," Herron said.